Rentmore.ca | Apartment in Surrey, British Columbia - 3 Bedrooms - $1000 - Available February 1, 2013 - North Surrey (108 Ave. @ 141A Street) 3 bed room + den available on Feb. 16th, 2013. You are here: Home > Apartments for rent > British Columbia Apartments > Apartments for rent in Surrey > North Surrey (108 Ave. @ 141A Street) 3 bed room + den available on Feb. 16th, 2013. 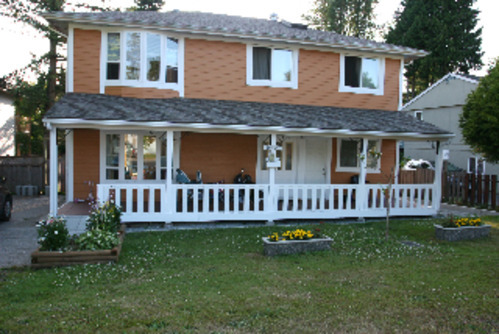 North Surrey (108 Ave. @ 141A Street) 3 bed room + den available on Feb. 16th, 2013.
yard. Good for family with young kids. minutes to bus stop (#332, #335). minutes walk). Couple Daycares are just on the same street. there is a nice park just 5 minutes walk form the house. and no smoke allowed. We are looking for long term tenant, at least 1 year lease. Finance check will be required.